AMC Networks, producers of acclaimed television shows such as Mad Men, Hell on Wheels, and Halt and Catch Fire, is getting ready to announce a new over-the-top (OTT) video-streaming service dedicated to the art of the horror film. Shudder according to a report in Variety, went into closed beta testing earlier this week when AMC quietly began sending invites to viewers who requested them using a pre-launch page. The network reportedly intends to offer a two-month free trial at launch, after which the service will cost $5 per month or $50 per year. As of now, Shudder’s on-demand catalog contains more than 200 horror flicks from around the world, including such all-time classics as A Tale of Two Sisters and Let the Right One In. These movies can be accessed either directly or via curated lists containing different titles with similar themes. There will also be a 24/7 linear feed for those who want a more TV-like experience. 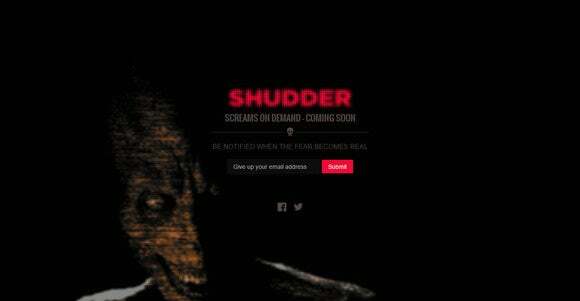 Shudder only works from within a browser at this time, but dedicated apps for major mobile platforms and popular streaming devices are in the works. AMC has yet to announce a launch date for the service, which is based on the same DreamFever online video platform that already powers the network’s SundanceNow OTT product. Why this matters: It’s easy to see why companies are turning to niche OTT offerings such as Shudder, but there is room for only so many. Those who wish to survive (or even thrive) will need to keep their prices low, ensure a constant supply of quality content, and hope that bigger OTT video players like Amazon and Netflix don’t turn their attention to their particular niche.